When we’re not eating or working, we try to stay active whether it’s working out at the gym, enjoying yoga (Kristina), playing basketball (Allen) or riding our bikes. 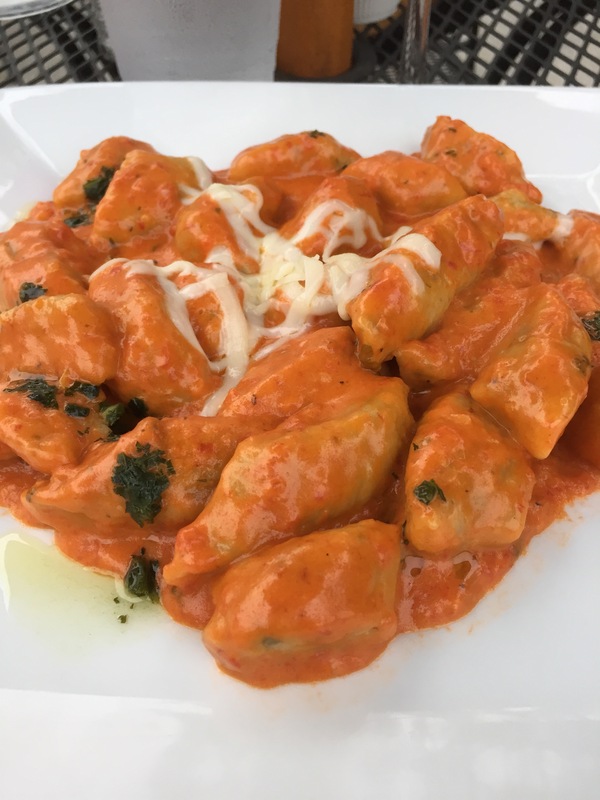 Riding on one of our favorite trails, we discovered La Lanterna, nestled away in a northern Yonkers neighborhood close to the Hastings-on-Hudson border. Interestingly enough, it had been recommended by one of Kristina’s colleagues, but we weren’t quite sure where it was. After seeing it from the trail, we told ourselves that we’d return minus the bike gear and helmets. 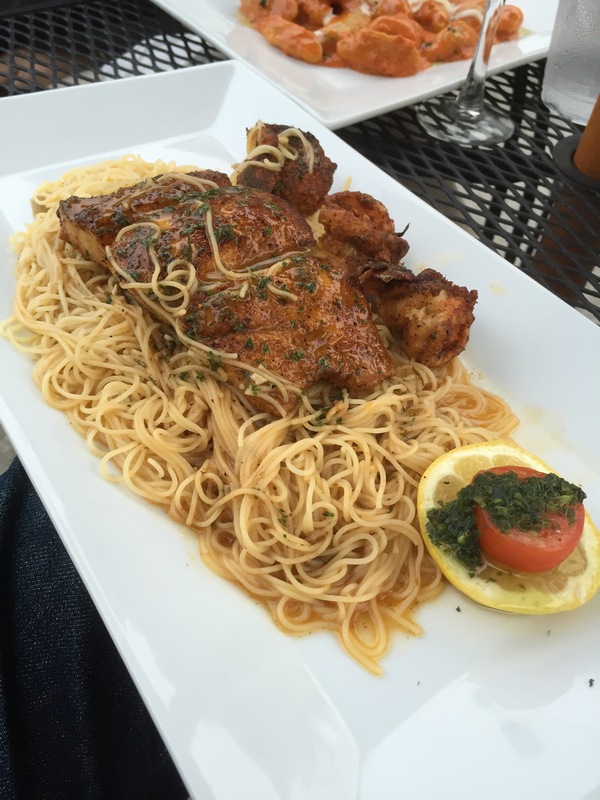 Recently, after a long week of work, we decide to visit La Lanterna for Friday night dinner. After a few missed turns and not reading the GPS correctly we arrived ready to eat and drink. From the outside, it looks like a small place. However, we were surprised to learn about all the tables inside and outside the restaurant. To top it off, there is a biergarten located in the back. 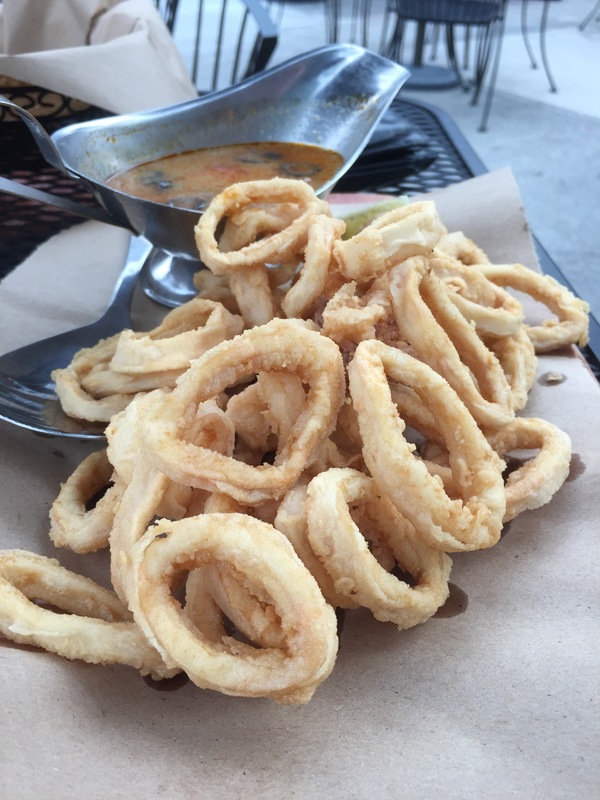 The calamari was delicious, with a unique spicy olive sauce to top them off. 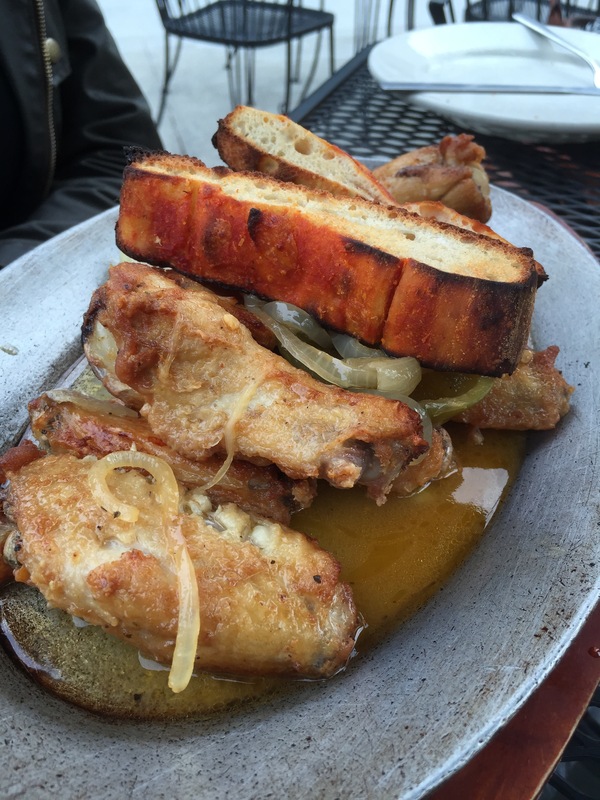 The wings were tasty as well– especially with the addition of the buffalo sauce! For our entrees, we ordered gnocchi and blackened mahi and shrimp over angel hair pasta. During our dinner, we were glad to learn that La Lanterna welcomes bikers riding on the trail that want to stop by for a quick bite or drink. We’ll keep that in mind next time we ride the South County Trailway. Do you have a restaurant that is a hidden gem in your neighborhood? If so, tell us where by commenting below, reaching out over email at foodiepleasure@gmail.com, or via Twitter at @foodiepleasure.